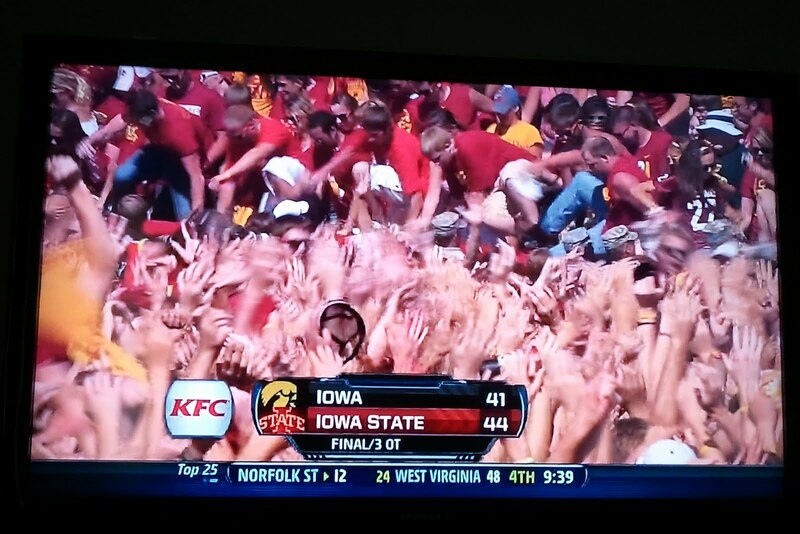 Eat, Explore & Enjoy: ISU Wins!! First of all, this whole week we've been thinking we wouldn't get this game on TV because of all of the other regional games going on. 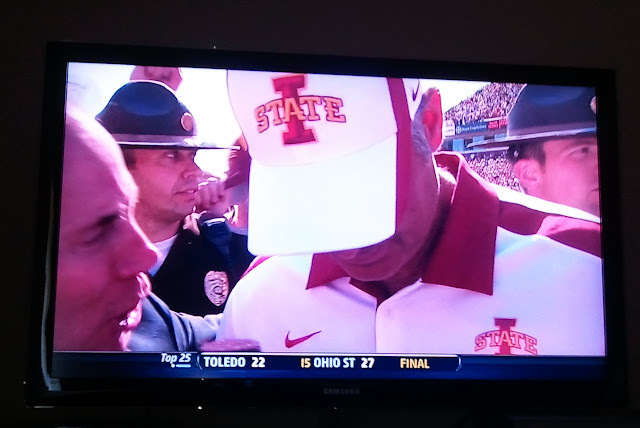 When we turned on the TV at 11 and saw Iowa and ISU we were so shocked we'd actually get to watch the game! As the game went on, we became bigger and bigger fans of our new QB and you could find us jumping, screaming, and throwing ourselves on the floor with excitement as we scored and tied Iowa. Each overtime was a nail biter and today was a glorious day to see our Cyclones and Paul Rhoads beat Iowa! Ohhhh the emotions in this matchup. 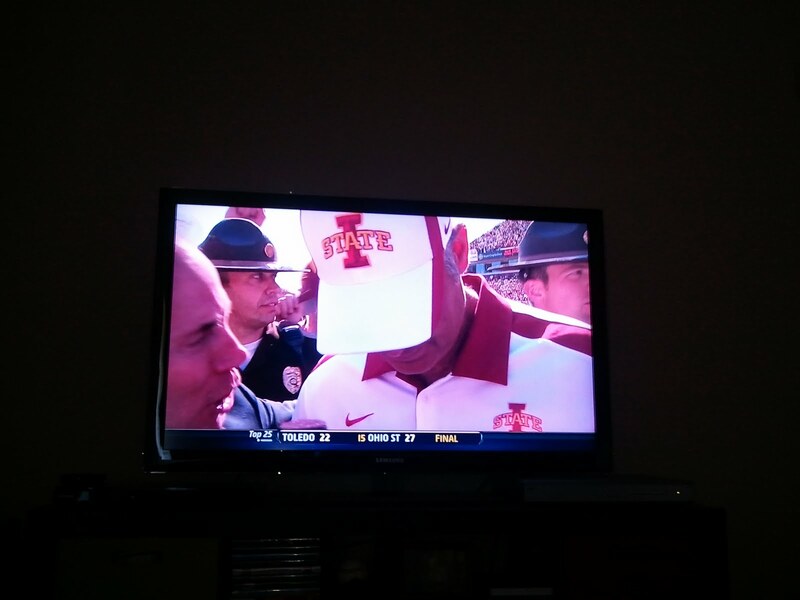 What a proud day to be a Cyclone! We loved the tornado siren for each momentous moment too. It's good to see another well deserved victory for our team and Coach Rhoads! 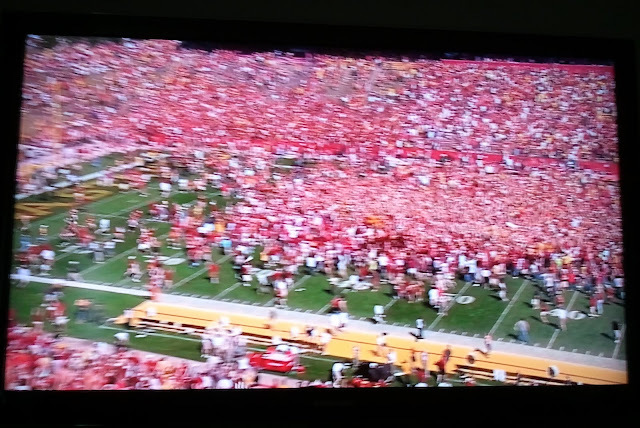 Seeing students/fans rush the field brought back wonderful memories of beating Iowa a few years ago when we rushed the field after a big win against Iowa! 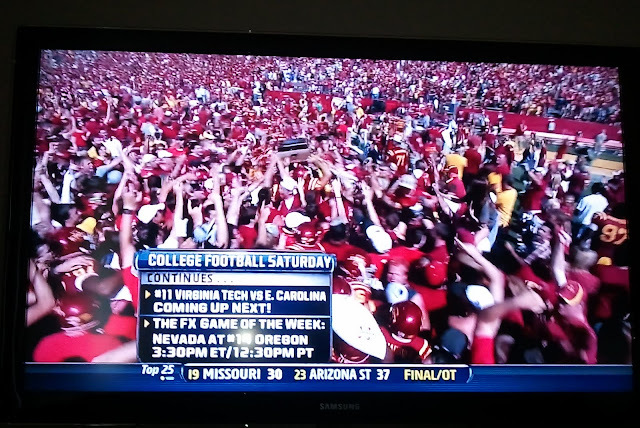 I swear I was almost in tears over that victory - the emotions in this rivalry are crazy but I love it!